Across western Egypt, Axis and Allied forces each deployed over a thousand tanks, aircraft and guns during the second half of 1942. The concentration of ground- and air-based firepower was enormous by the scale of the desert war, and the eventual Allied victory at Alamein could be in large part attributed to their much greater buildup in these areas. But neither side deployed serious naval assets in the Alamein battles of July through November 1942. On the British side, the Royal Navy had deployed its Inshore Squadron in late 1940 and early 1941. The squadron was built around the monitor Terror and included three "Insect" class river gunboats built for service in the Great War. But by the time of Alamein, the Inshore Squadron had been disbanded, its utility disputed. His Majesty's Monitor Terror departs Malta. The Royal Navy began building specialized bombardment vessels at the end of 1914, when it became obvious that the old battleships used to support operations off the Belgian coast could not approach close enough the shoreline. A new ship with shallow draft but capable of bearing heavy guns would be needed. An American industrialist — in a flagrant violation of the Neutrality Act — offered four gun turrets ordered for a Greek battleship under construction in a German shipyard, and within weeks the new design had been approved. The four new monitors were ready by May and June 1915, and went to the Dardanelles to bombard Turkish positions. Pleased by the rapid delivery, the Admiralty ordered 10 more ships: eight to be armed with 12-inch guns in turrets taken from old retired battleships, and two with 15-inch guns in turrets diverted from a new battleship. The first monitors had already lacked engine power, only making six knots instead of the 10 specified in their contracts. The two with 15-inch guns, Marshal Soult and Marshal Ney, were utter failures. The hull had to be widened to accommodate the bigger 15-inch turret, and First Sea Lord Sir John Fisher insisted they be powered by diesel engines. The only available diesels provided even less power than the earlier monitors could produce, resulting in so little headway that they could barely be steered. A new order for two replacement monitors resulted in much better ships. Erebus and her sister Terror were longer, both to improve handling and allow for much more powerful machinery. They could easily make 12 knots, and saw action in the last years of the Great War against German targets in Belgium. After the war they saw some use as training vessels, but mostly were in reserve until refitted in 1939 for a new war. The smaller ships of the Inshore Squadron had been constructed to fight the Austro-Hungarian Navy's Danube Monitor Flotilla, a mission that disappeared when Serbia collapsed in 1915. The "Insect" class instead saw service in widely varied theaters. Valued for their shallow draft (just four feet) and relatively heavy firepower (two six-inch guns plus anti-aircraft weapons), they were retained after the war primarily because they were very cheap to operate, with a crew of only 53. HMS Mantis on the river Tigris during World War I. The Inshore Squadron supported the British advance into Libya in late 1940 and early 1941, but its old and slow ships were very vulnerable outside the umbrella of air and surface protection. Of the three gunboats, Ladybird was sunk by German dive bombers at Tobruk in May 1941 and Gnat torpedoed by a u-boat a month later. Though salvaged, she was beyond economical repair and served out the rest of the war as a harbor anti-aircraft guardship. Aphis survived the war, taking part in the invasion of Pantelleria and Sicily, and was on her way to join the British Pacific Fleet when the war ended. Terror had been a base ship at Singapore when the war broke out, and went to Egypt in January 1940. She conducted frequent fire missions against the Italian invasion of Egypt in late 1940, and moved forward to Benghazi in February 1941 to allow her to be based much closer to the front lines. She struck a mine on 22 February that did light damage, but the next day was heavily damaged by near-misses from a German air attack. She set out for Alexandria, but flooding became progressive and she sank on the 24th. Whether her captain, Cdr. Henry John Haynes, ordered her scuttled is unclear; in any event he got his entire crew off without loss. By the late summer of 1942, Allied resources had increased to the point that the Axis could be pressured with four major offensives conducted at quite literally the four corners of the Earth. Operation Watchtower would send U.S. Marines to the Japanese-held island of Guadalcanal in the Solomons. Operation Torch would land American and British troops in French North Africa. Operation Ironclad would invade the French-ruled island of Madagascar in the southwestern Indian Ocean. 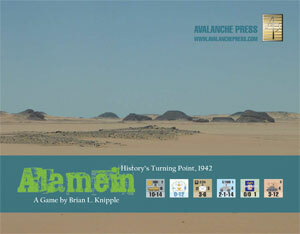 And finally, there would be Operation Lightfoot, an offensive against the Axis army at Alamein in western Egypt. The three major naval operations, and the associated diversions, took away all major fleet assets from the eastern Mediterranean that might have provided naval gunfire for the British Eighth Army. The new monitor Roberts arrived at Alexandria in February 1942, but left in September to take part in the Torch landings. While she was present for the first battles of Alamein, she did not lend support to ground forces but instead served as an anti-aircraft guardship in Alexandria's harbor. One other large monitor remained to the Royal Navy: Terror's sister Erebus. Erebus spent 1940 at Dover, guarding against a German invasion of Britain, before moving north in 1941 to protect the Home Fleet's base at Scapa Flow. In early 1942 she went out to Ceylon to join the Eastern Fleet as a guardship for the port of Trincomalee, and was damaged there in a Japanese air attack in April. After several months of repair in India, she joined the bombardment force supporting landings on Madagascar in September. On October she headed back to Britain, and would later help support the invasions of Sicily and Normandy. Roberts commissioned in October 1941, and after some special trials was designated for bombardment support duty in the Eastern Mediterranean. When she arrived in Alexandria, however, the Mediterranean Fleet command declined to re-institute the Inshore Squadron concept. Monitors provided big, slow and prestigious targets for enemy submarines, aircraft and even surface ships. Instead the new ship was detailed to Suez to act as an anti-aircraft guardship thanks to her modern suite of air-defense radar. While she was nearby during both the Axis attacks on Alamein and the planning for Supercharge, she remained at Suez until sent to the western Mediterranean in August to support the Allied landings in Algeria. She would go on to bombard the Axis in Sicily, Italy and Normandy. We included no warships in our massive Alamein game, because other than a few scattered bombardments by British destroyers, naval gunfire played no role in the battles. At Origins one year I sold superfan Randy "Ship Guy" York a copy of Alamein with the promise that we'd add a Daily Content variant allowing him to use 15-inch naval guns to blast Nazis. Since blasting Nazis with large-caliber weapons is an eminently laudable desire, here is the Alamein Naval Support variant. The British warships Erebus, Roberts, Aphis and Cockchafer are available to the Allied player in Scenario Four, Operation Lightfoot. All rules from Island of Death section 16.7 are in effect with the following exceptions: no communications dieroll (16.73) is necessary, and of course there are no Axis coastal guns. Axis aircraft on the Ground Strike mission may attack British warships instead. The Axis player indicates which air unit(s) will attack which warship(s), and the Allied player rolls one die if a gunboat is targeted, two dice for Erebus and four dice for Roberts. For each result of 6, one air unit assigned to attack that warship is unable to attack. If two or more results of 6 are obtained by one warship, one air unit assigned to attack it suffers a step loss. Mike Bennighof is president of Avalanche Press and holds a doctorate in history from Emory University. A Fulbright Scholar and award-winning journalist, he has published over 100 books, games and articles on historical subjects. He lives in Birmingham, Alabama with his wife, three children and his dog, Leopold. Leopold swims better than he edits.